Apple’s new MapKit JS library will power maps in search results, with the same focus on privacy that both DuckDuckGo and Apple are known for. Today, privacy-minded search engine DuckDuckGo announced that it will use the new MapKit JS tool for all its location-based search results. Previously, the site used OpenStreetMap for its results, with a drop-down box kicking you off to Bing, Google, or Here maps if you asked for directions. DuckDuckGo says it’s one of the first global companies to use the new MapKit JS library, and that seems obvious—you almost never see Apple Maps on the web. Apple mysteriously has no mapping portal of its own (no maps.apple.com), and the vast majority of other sites and services use Google or Bing’s maps. DuckDuckGo chose to partner with Apple because of the company’s stance on privacy. The whole point of DuckDuckGo is that it collects and stores only the bare minimum information necessary to complete your search query. It doesn’t know who or where you are, and doesn’t maintain a search history. We do not send any personally identifiable information such as IP address to Apple or other third parties. For local searches, where your approximate location information is sent by your browser to us, we discard it immediately after use. You are still anonymous when you perform map and address-related searches on DuckDuckGo. 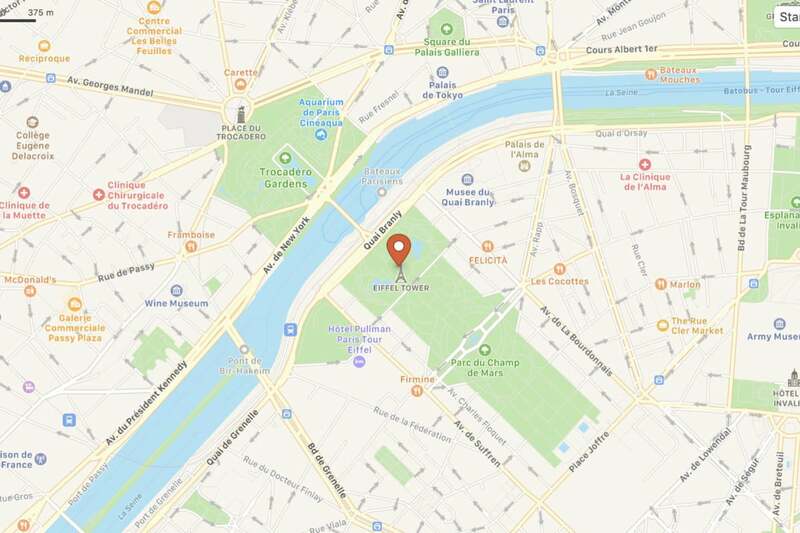 Apple’s Maps are a lot more attractive and useful than OpenStreetMap, but the implementation on DuckDuckGo still feels a little rough around the edges. To start with, the interface could be improved. Scrolling the mouse wheel doesn’t zoom in or out, and panning around isn’t as smooth as it should be. 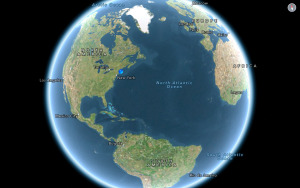 Apple’s mapping data is still pretty rough in most of the world, too. Apple announced a huge overhaul to its map data as part of iOS 12, and it has made a huge difference in northern California where the new data is live. But these new maps are still slowly rolling out across the rest of the country. For now, DuckDuckGo users searching outside northern California will encounter Apple’s old data, which isn’t great. Perhaps most importantly, the DuckDuckGo maps still rely on other third-party services for important functions. Details on business locations are provided by Yelp, just as they are in Apple Maps on iOS. This makes it hard for people who don’t have or want a Yelp account or the Yelp app to fully participate in providing reviews, hours of operation, or photos of the business. On mobile, Yelp only provides a bare minimum of information unless you download the app. If you ask for directions on DuckDuckGo from Windows, Linux, or ChromeOS, you’ll be taken to Bing, Google, Here, or OpenStreetMap (there’s a drop-down menu), where you’ll have to enter your precise starting location because DuckDuckGo neither gathers nor shares it. On iOS or macOS, it opens Apple’s Maps app. MapKit JS is capable of giving walking and driving directions, so perhaps directions provided directly within DuckDuckGo will come soon. As Apple expands its service offerings and takes more control over its own mapping data, you can probably expect more announcements like this one. As Apple continues to build a more robust web mapping toolkit and vastly improves its map data, it will attract more web services that want alternatives to Google and Bing maps.